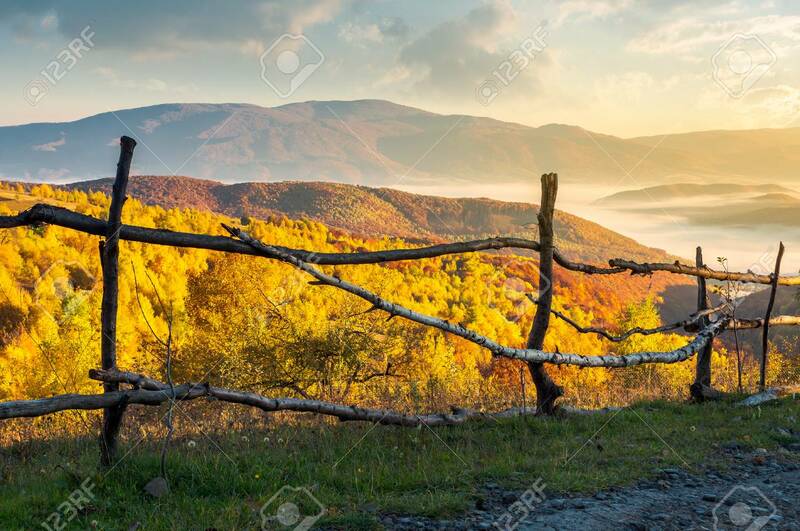 Fence On The Country Road At Sunrise. Beautiful Autumn Scenery.. Stock Photo, Picture And Royalty Free Image. Image 111139657.